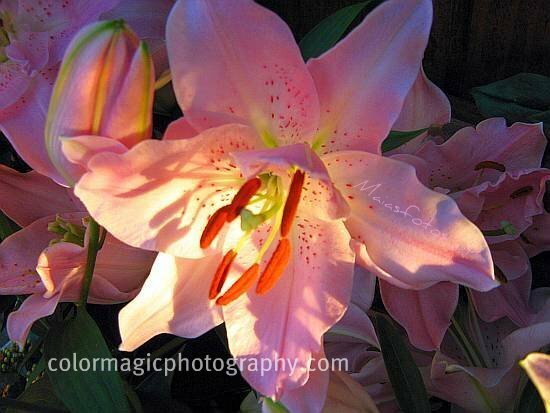 Thank you for stopping by and for sharing your beautiful photos on Macro Flowers Saturday! I have some beautiful Asiatic lilies for you this week, from my archive. I've changed the Linky service and now you can vote for your favorite photo. Voting starts on Wednesday 0:00 GMT, when we'll have more photos. So please come back to vote. Though it's winter in a great part of the world, I hope you'll select some beautiful flower shots from your archives for Valentine's Day, next week. Please don't post your blog's main page links. Play nice, visit other participants and have a beautiful weekend! This list is closed. Click here to see the participants' list for this post. Hi, gorgeous this flowers.. i love that soft pink colour.. This is much easier to post. Beautiful lilies, love the color. So pretty. I had that kind of lily but for some reason it died. Maia, lilies are my favorite flowers and these are probably the most gorgeous I've seen in a long time. Just stunning! 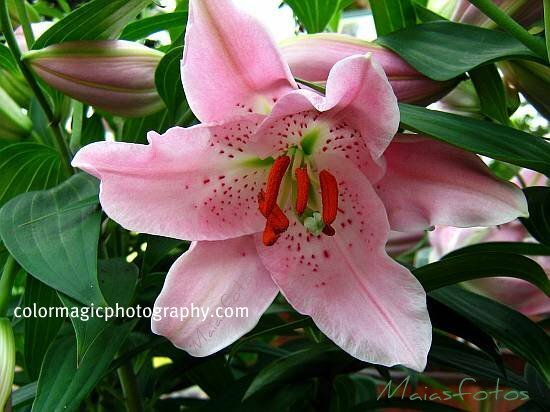 These are beautiful lilies Maia, the color is so delicate. I love the lighting in your first photo. Thank you so much for stopping by the Back Porch. Macro Flower Saturday sounds wonderful! First time here and I plan on stopping by often.. I love flowers, gardening and the labor of love that goes with it! Get my hands dirty and I'm happy! Maia, thank you for your kind comment. So happy to 'meet' you ! Being clumsy as I am, I forget to cut off the tips, and it always stain my clothes. These are elegant and beautiful flowers. This photo is gorgeous! I love your linky party. Makes me ready for spring. I'm your newest follower and would be delighted to have you follow me back! I love your Tiger Lily. It cost a lot in the shop so when I get a bouquet with it, it makes it so special! Lilies are one of my most favorite flowers, along with roses. I can't wait to see them growing in the garden. These are gorgeous, and I can almost smell its sweet scents. It's good you archived them because these lily photos are so lovely. I especially like the light coming through the petals in the first shot. Simply gorgeous photos. I love the play of light and shadow in the first shot. Thank you Maia, yes I think I would quite like to participate in your macro flower meme. It is really beautiful. Try to take my place next saturday. T.